Grave Circle A contains six shaft graves, where a total of 19 bodies were found (8 men, 9 women, and 2 children). The number of valuable objects found in the graves--gold jewelry, decorated swords, golden cups, golden death masks, and so on--clearly indicates that the people buried here were of high social rank. The number of weapons, and the martial and hunting scenes carved on some of the artifacts, indicates that it was a culture of warriors. 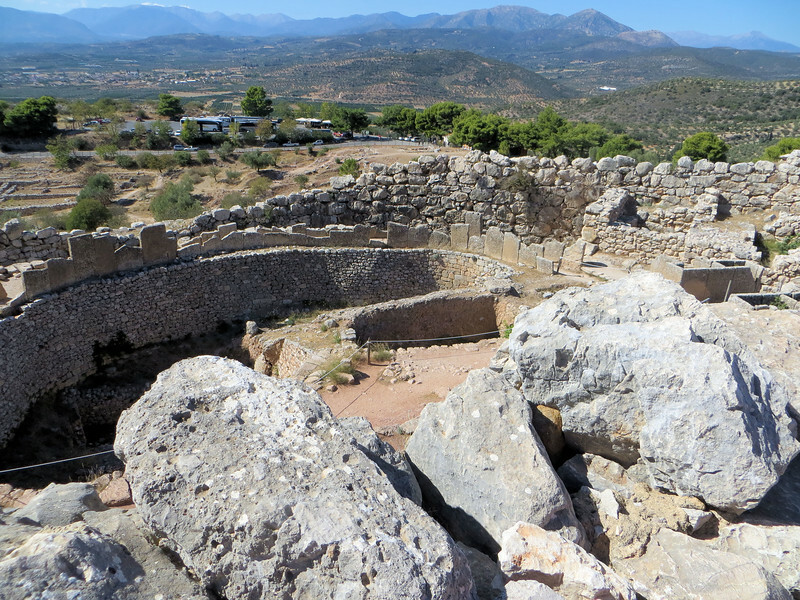 No wonder Homer described Mycenae as "rich in gold." The objects recovered from the graves can be seen in museums, notably the National Archeological Museum in Athens.